Increase your real property value, keep your tenants, and attract new prosperous business to your location immediately!!! This letter is to inform you of a recent meeting of small business owners on Tuesday January 31st, 2007, at Las Palmas Restaurant 953 Sahara. An invitation was hand delivered to all business connected by our Clark County Parking Lot at 953 Sahara. We are sorry if you could not make it or did not get your invitation. I am Paula Sadler Owner of A Harmony Nail Spa and Organizer of this meeting. I called a meeting of business owners so that we could unite in a business association. Our main purpose is to help the small business owner, and to unite us as business owners at commercial center. There has been a need for this for some time, as over 200 flyers were given out to the many suites/offices at the property. There is an estimated 200 suites plus. Our main objective is to beautify, (clean-up) and market and promote our businesses properly as a wonderful shopping center as it once was. We started cleaning up Last Summer; we have been in extensive contact with Clark County Access, Metro, and Republic Services. Much has already been done to change our image from what it has been in recent years, which is less than desirable or profitable for the small business owner. A core group of us has formed and asks for you to join us in a community clean up and beautification. Many things were discussed at our first meeting. There are many issues to be undertaken, and solutions are forming for many concerns. In my individual meeting of business owners I was able to hear first hand of many needs from different owners. As for myself I too am a business owner like you, and I have pleaded and asked for help for 2 ½ years for support from my property Manager/Owner and Clark County, some things have been done. Yet others overlooked for some time, this has been a detriment to business in general and I believe has contributed to a poor public image and loss of sales due to things as simple as, unclean trash areas, broken planters, Lack of Address or Building # and/or Name Visible to help customers find plaza, to mention just a few concerns. On the other hand many business owners in Village Square remodeled in Past couple years, spending probably over 2 million dollars or more on the inside of our units, just at our property alone, you can see for yourself as to the beauty that has been added to the inside, many other business have leased and opened their doors here, and have done a most wonderful job at there décor and atmosphere. As well a few property owners also have done much to beautify the exterior, new awnings, fresh paint, general clean-up etc…this has helped. So we as business owners are disappointed for the lack of Care for the Parking lot in general, which many of you property and/or business owners say the County must fix, or do, and take action. In the meantime, while there is debate, and struggle to force or plead with the county to take action, we as small business owners languish and suffer a loss, leading up to the closure of many small business that may have made it, if help was given on your part. This causes you loss, as you must lease your vacancy, rather than doing what you can to keep the business you have. Its unfortunate that many property owners did not want to do live gardens some time back, because of the cost, well I as a small business owner am being accessed a fee over several years, to pay for something I didn’t have a chance to be a part of, I am not alone in this. So as a business owner who must pay taxes, and public works, I speak for other business owners, that we will gladly help this shopping center which is business home to many fine businesses and retirement career business for many, to do for ourselves what we can, rather than let the county bill us again a few million dollars for sub-standard outright poor work. Not a chance. Personally my front doors were ruined when sidewalks were installed, and then ripped out in front of my store, due to forgetting to put the drain line in, I think that illustrates the work that was done in general, after I just had them adjusted, I ended spending a few thousand just to have them made right again. I was not compensated in the least. So there is a little history for you to get you into the loop. There is a consensus among some business owners of their current state of unhappiness due to concerns they feel should be taken care of by you as property owners. I have walked this property and driven it a lot lately. And what I have seen is a general lack of concern for the area in General when so many other shopping centers close by are doing a much better job of keeping up the outside. We have a large enough financial force behind us to do great things that will increase our bottom-line, yours too. I don’t own a shopping center or building as you do, but if I did I would want to have the best possible relationship with my tenants. I would want them to know that I am progressive, approachable, and friendly. I would want them to know that I was doing all I can to promote them and my property as a great place. This I have not seen at all in the past, I hope we can change this image together. I don’t see or hear of any ads or write-ups, nor individual websites that promote your properties. We are in 2007, word of mouth is great but customers wont come back if the outside is not as nice as the inside, and what was done 10, 20, or even 30 years ago or more may have worked then, but the face of modern business has changed the internet has taken a huge role in finding new customers, so we are not up to par with today’s standards. I am a business owner and take pride and ownership of my business as well as the parking areas, sidewalks and streets that border us, I stand with over 100 business owners is this, and believe I speak for all of us, that we must take action now! Time is of the essence. · Create a new image and marketing and ad campaign to properly advertise the diversities here. · Offer suggestions to small business owners to create more successful storefronts and image to public. · These are only some of the items we are working on, more to come. For a more detailed list see meeting agenda posted online. · Increase your real property value, keep your tenants, and attract new prosperous business to your location immediately!!! · Create your own website about your company, and property and offer a free listing to your tenants, we will have a link to your site, which will increase the traffic and business for us all. · Do all that you can to keep your properties clean and neat and free from graffiti. As well as address any areas that have fallen into disrepair. Go through and make a checklist of all that needs to be done, and make a plan of action to correct. (I offer my services for free by appointment to help you Asses what you can do to improve your image at a minimal cost for materials mostly, as most of you have maintenance on property. My specialty is Beautification and Public Image for personal and commercial. Your participation in this momentous event is greatly appreciated. We had two-property owners show up at our last meeting, and several small business owners and Various County Agencies. The meeting was very smooth, but please remember that this is for the small business owner to help them to succeed in any way possible, and the focus is on our needs and concerns to draw more business to the center and keep them coming back. 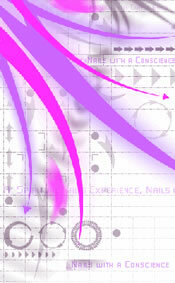 www.aharmonynailspa.com under commercial center beautification project on the home page. February 27th at 1:15-2:45pm pm at Las Palmas Restaurant. I don’t feel there should be any conflicts of interest; we are meeting to beautify and promote!!! Please feel free to contact me with any questions you may have, or ideas about how you can help. Upon my recent telephone conversation with one property owner, he insisted I speak with Lisa Koter From Redevelopment as if we needed permission to make our center great, with our proposed plans. Clark County seems excited for us on one hand, and the other hand seems unsure. Nonetheless we are moving forward and I feel the community wants this and supports our efforts, this project will positively affect business and commerce all around us. Please send a mailing list of your tenants, and a site map of your units, this is for our mailing list, to give to metro, and for our new brochure, and website. I have recently visited all suites it took two days of my time 16 hours to do this, I got to see first hand the interior and exterior of all buildings and have already a few good suggestions that can be done at minimal cost. I already have most information I need, but I want to reference it with yours. Thank you. You may email or Fax this info to fax listed at top of page. A copy of this letter has been sent to the following properties if your information is not accurate please contact Paula Sadler, this list is incomplete as we are compiling a list of all property owners for this list. Not all property Owners are know at this time, we apologize but are compiling this list. Send corrections asap thank you. Prestige Realty & Developers, Inc.